Send any questions or problems regarding this site to wahl@wahl.org . Click to see the lastest Wahl Family picture. This project was produced by Bernt Wahl with help from my family. Please email wahl@wahl.org with any suggestions, comments or feedback! 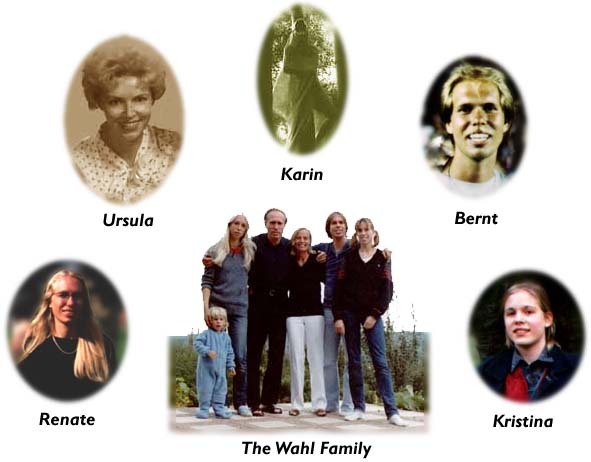 The Wahl family retains the copyright to all names, text and images used. Images and text may only be used for limited non-commercial use with proper credit given or with written permission from The Dynamic Software Company. All other trademarks are the property of their respective owners. Backgrounds are supplied by Jhane Barnes Inc. and The Dynamic Software Company and may only be used with their permission. . Global Web Works Center this site is still under construction so there are some features that still have not been implemented, thanks for your patience.